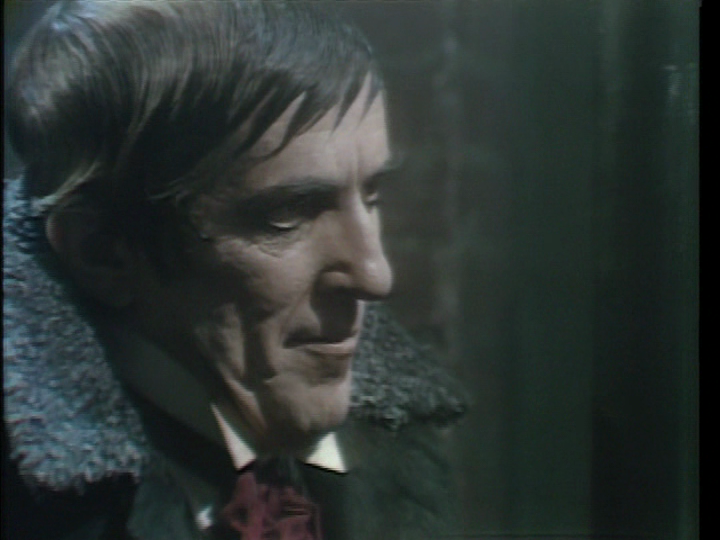 In the spirit of Halloween, I’ve been revisiting Dark Shadows (circa 1897) and boy, is it awesome–and by it, I mean Quentin’s sideburns. I’ve been noticing a lot of things I didn’t notice before, and I’m prepared to share some of my knowledge. 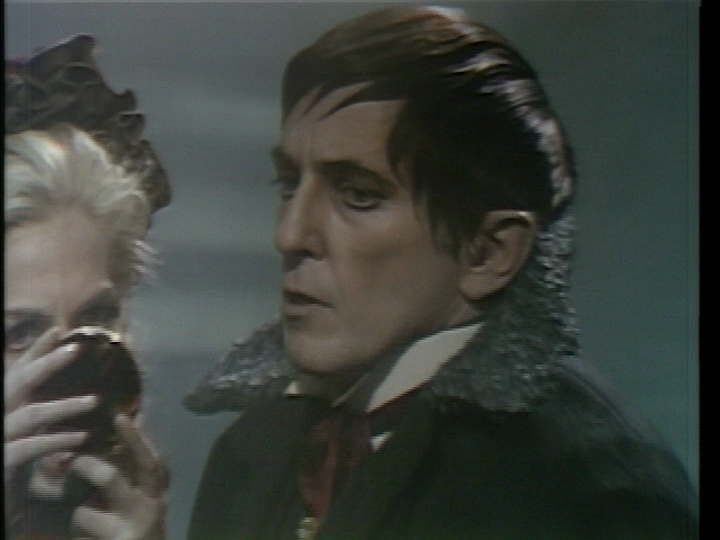 So to appease all you (hallo)weenies who whine about this blog’s lack of Dark Shadows content, here’s a brief tutorial on how to select and attack your vampire victims, as demonstrated by the master that is Barnabas Collins. 1. Go to the docks. It’s the best place to find victims because, as you can see, the place is crawling with people–er, barrels. I think there’s a deleted subplot in On the Waterfront about this. 2. If you see something on the ground, (in)conspicuously pick it up. Especially if it’s a compact. Because you may need to glance at your reflection and–oh, wait, you don’t have a reflection…Pick it up anyway. It may be useful. 4. Don’t mention your name. Especially if you’re a Collins. Don’t want people to get the wrong idea–like that members of the Collins family actually leave Collinwood and interact with common, everyday folk who aren’t their servants. 5. Play “hard to get.” Pretend to get “cold feet.” In other words, act like you have to go to the bathroom REALLY BAD!! “I don’t understand you. What’s the matter with you?” Haven’t you heard? 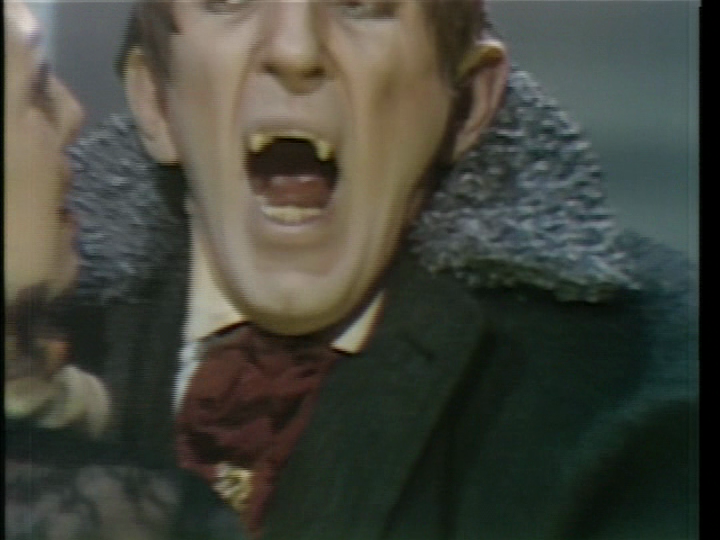 Barnabas Collins has a really small BLADDER!! Also: you don’t look like Josette reincarnated, so you have negative one thousand percent of a chance with this guy. 6. When your cover is blown, remain calm. Try not to look like you just crapped your pants when your victim asks why she can’t see your reflection. It just looks bad. There’s no turning back now. Go in for the kill. Cue horrible scream. This show is never short of GREAT actors. 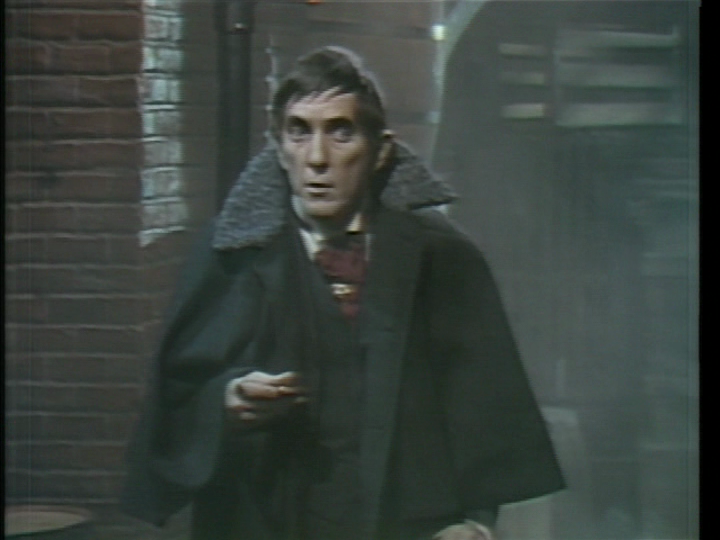 This entry was posted in Television and tagged dark shadows, halloween, jonathan frid, tips, vampires by Brittany. Bookmark the permalink. Above Wheaton location “reply” was my computer conspiring against me in an ongoing battle which it thinks its winning. Hah! I will give it a good thrashing John Cleese style. You may insult shadows all you like and I will not fall into a lachrymose state for days on end – as long as you confine your poisonous blood red pen to episodes 128 and beyond. Yes, I’ve seen it all (almost…the leviathan plot line was unwatchable and I think it stunted the shows growth and threw it into a ratings tailspin from which it was not able to recover enough to ultimately withstand the hand of Count ABCofi.) And I’m not ashamed I watched it all. I felt I owed it to myself to see what I was so enamored of as a little kid. But IMO there were two DS’s: 1-127 where the drama was natural, where psychopathic children were allowed to express themselves naturally and scare me more than any ghosty or ghouly. Where the writing created the drama, not the characters supernatural nature. Where I could empathize and sometimes identify with the characters’ motivations. But 128 and onward had many good moments too. It was fun, but a completely different type of show. P.S. Have you heard Beady Eye has broken up? Their last album producer, American Dave Sitek, was so impressed by LG’s humor, that he envisions him having some kind of show of his own. If somehow DS could have been made with Liam Legend playing the Loomis part, who would have been the slave and who the master? Personally, I just can’t imagine Barnabas getting the better of Gallagher. The wasting of Loomis, a great natural thug, into a completely nice guy was pathetic. And emblematic of my beef with the post 127 DS episodes. Yes, I heard about Beady Eye — can’t say I’m too surprised, really. I’m more surprised that Ride (and Hurricane #1 sans Bell) is reforming to be honest. And Barnabas would never get the better of a Gallagher. Liam would be too physically overpowering and Noel just too darn quick + smarter than Barn. 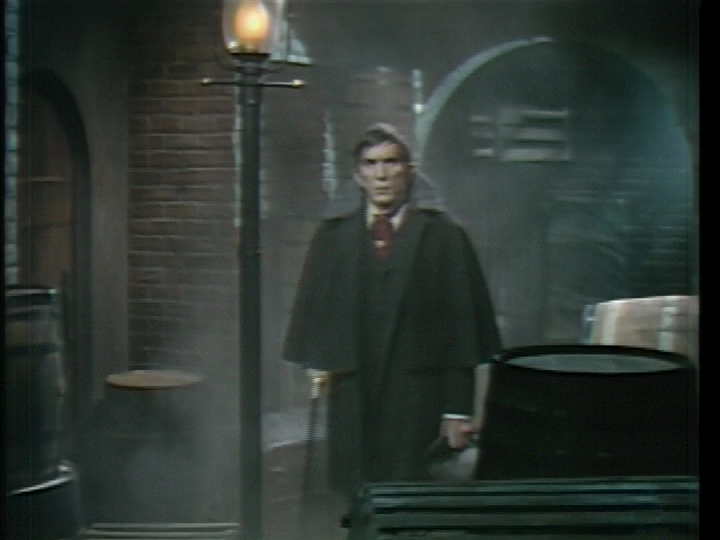 I love when Barnabas hits Willie over the head with a botle or something in the basement of the Old House. It’s hilarious. Poor Willie.